Workplace gratitude is growing in prominence as a motivational tool. A culture of gratitude that pervades an organization can boost morale, improve customer service, and support the effort to achieve continuous improvement. A solid performance improvement plan, along with employee motivation programs can be used to work towards organizational and productivity goals. Workplace gratitude and its many positive benefits might be a difficult concept for some business owners and managers. Offering a job with a competitive salary in a safe working environment is no longer enough to keep employees happy and motivated. Employees have more choices today, and smart employers get creative with their expressions of gratitude. Employee Engagement: A Harvard Medical School mental health letter published in 2011 found that a group of employees who receive a gratitude-laden pep talk prior to making calls to solicit donations made 50% more calls than a control group which did not receive the motivational boost. Employee Satisfaction: Positive Psychology asserts that gratitude is a hot topic in positive emotion research. Respondents who participate in gratitude exercises are found to be more pro-social, and interested in promoting the well-being of others. This contributes to the effectiveness of a team building program, boosts the ability to meet project deadlines, and creates a stronger workplace environment. Improved Health: Increased gratitude contributes to a lowering of stress levels in the workplace. Harvard Business Review reports that high levels of stress are associated with high health care and turnover costs. Reducing stress through gratitude and workplace recognition awards can lead to healthier employees who show up at work, perform at high levels, and stay with the organization. Increased Problem-Solving Capabilities: Employees who feel valued and who value each other are more likely to put in the effort to solve problems, because they unconsciously associate accomplishing a difficult task with receiving more gratitude. Smoother Supervisor Relationships: Employees often fear or mistrust a supervisor who only knows how to punish or reprimand. A supervisor who knows how to show appreciation for a job well done, on the other hand, is more likely to build positive working relationships with subordinates. They are more likely to work together to solve problems and achieve corporate goals. Boost Pride: Too often we go through life not knowing if our efforts are really appreciated. We all like being told that we are doing a good job, and that what we do has meaning. A workforce program from Strategic Incentives can be used to acknowledge positive achievements. This can be combined with something as simple as a supervisor or manager saying thanks, or a video from an end customer where employees can see the final product in action. Employees might feel they are just making one part over and over, but knowing that part ends up in every home can instill more pride in a job well done. Training and Education: Don’t assume that employees just “know” what the company does, or that supervisors “know” how to motivate. A team building program that goes beyond day-to-day operational expectations results in a well-rounded workforce. Employees who understand where they fit in the organization and how their work impacts other departments are more likely to go the extra mile to complete their part of the task properly. Applauding the Everyday Successes: Employers often focus on the “big theme” items such as days without an accident, quotas met, or orders completed. But what about the hundreds of ordinary tasks that have to be completed properly as a subset of those goals? What about the bookkeeper who properly recorded accounts payable and receivable to keep the cash flow in line, or the supplies manager who made sure everything needed for a job was there exactly on time? Recognition awards can be developed and implemented for all levels of the organization, to make sure everybody knows they are appreciated. 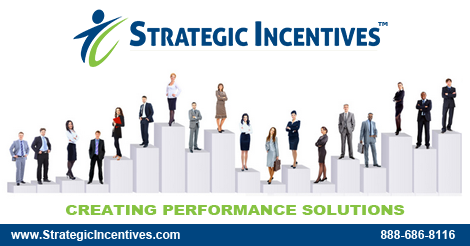 Strategic Incentives can help your organization show gratitude through one of our incentive programs or rewards programs. 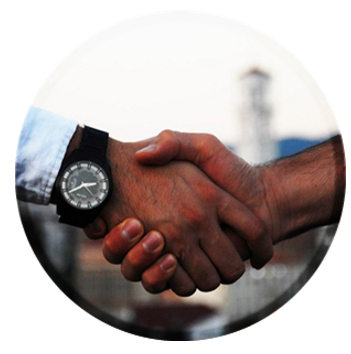 Contact us today for ideas on using gratitude to increase motivation and loyalty. Helping employees feel like they are doing ‘meaningful work’, will lead to higher levels of productivity and a better employee experience. Gratitude is one of the most effective ways to infuse a sense of meaning and purpose in your workforce culture. Do you have a plan for expressing gratitude to your workforce this year? Strategic Incentives can help your organization increase workplace gratitude in a sincere way, through one of our premiere recognition or rewards programs. The strong organization is the one that has a corporate performance improvement plan which includes incentive programs and employee motivation programs. How is your company incorporating gratitude into the everyday workplace environment? Share your thoughts in the box below. Strategic Incentives is Grateful for Your Support!